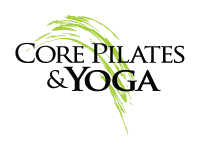 Client Testimonials - Core Pilates & Yoga - Syracuse and Central New York's Premier Pilates, Yoga and Dance Center. "Pilates has been a great addition to my usual workouts (which did not include core conditioning). Since I started Pilates, my back pain problem has improved immensely. Valerie is a great teacher and I highly recommend her. Pilates should be an integral component of any physical training." "Valerie's yoga class has helped immensely. It provides me with the fuel and rejuvenation I need to carry me through the week." "Pilates is a great way to achieve better muscle tone as all muscle groups are engaged with every exercise performed. Val is an inspiring instructor. She will always find a way to challenge you and keep you motivated. At the same time, she can accommodate multiple skill levels in her classes, and is consistently reminding her students of modifications so that no student will be pushed beyond their limits. Somehow, she finds a way to make the hard work fun. Pilates class always feels like it is over way too quickly despite the fact that you will walk away knowing that you have had a great workout." "Pilates is a really welcome break in my work day. I sit a lot at my job, and my lower back doesn't bother me nearly as much since I started taking classes. Valerie explains the exercises thoroughly and varies routines to target all areas. She makes everyone, from beginners to more advanced students, feel equally at ease. Stick with it, and you'll notice your flexibility improving."